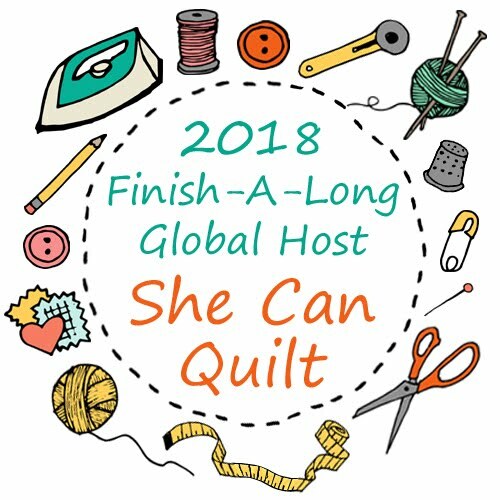 Despite all my crazy sewing this last year, it is time for me to confess that I only finished 1 - that's right one - thing on my Q4 Finish-A-Long list. Clearly I suffer from a serious and chronic case of startitis. Let's take a look at that list and see what has been done. My Q4 blog post about my ambitious and now failed plans is here. 1. Mouthy Stitches bag - It's finished and what a wonderful finish it was. Susan, from Patchwork N Play, my Mouthy Stitches swap partner loved it. But for the rest, well not done. Some progress to report on some, best that I fess up. I think that my grade is C-. Not good. 2. Large Mod Pop - That photo above is what it mostly looks like these days. I am quilting this monster king size quilt. I have done the long wavy background parts and am moving onto the middle of the circles. We are setting a completion date in the Mod Pop QAL soon, so I need to make sure I meet it as I am the host. There it is spread out on my king size bed, it is big. 3. Windmills and Trees - this is Lynne from Lily's Quilts' pattern which I am pattern testing. I pulled out the background fabrics, and debated how to finish the back. I stalled in debate. No progress. 4. Low Volume top with circles on it. I used this quilt top to make the 2013 FAL button, does that count as progress? It will be on my next FAL list. 5. Polaroids - I did not even take these out of the bag. How bad is that? 6. Dresdens - I need to figure out where these got put in the last clean up, I really want to make this one. Next list. 7. Quilt the Mystery Quilt - I don't know why I am so scared of wrecking this quilt. 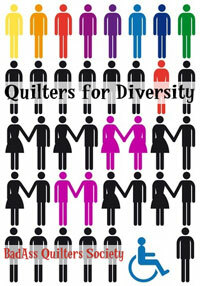 I think I have a simple quilt plan now, I really want to have this one to use. Next list. 8. This is another repeat FAL project. LBSP blocks, again designed by Lynne from Lily's Quilts. Not touched. Next list. 9. A stack of Liberty tana lawn fabrics. Yes, some progress on this one. I picked a nice - not neutral - solid and pieced the top, at least. This one is not going on the list as I see it as a long term fmq practice quilt now. So it is about the process, not about finishing - right, am I fooling anyone but me? So, for Q4 of the FAL I did not set much of a finishing example. Clearly, some of you might think the grade of C- is generous. I am an easy marker but I wonder what Katy will say. I did a lot of other things, but that really does not count on the FAL front. 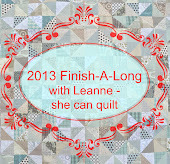 I am linking this up at Quilter in the Gap for the Q4 FAL finishes, I did get one done after all. Other people did better, you might want to check the wonderful finishes out. I will do better next year, I am hosting the 2013 FAL. That is a good thing, I sure need the FAL! The link to post your Q1 2013 FAL plans will open on Monday January 7, 2013 and stay open for a week. I hope you will join me in the FAL, it will be fun. You may not have finished many of the wonderful things on your list but you finished other things that are just as wonderful - if you could count those you'd be able to give yourself a better mark! 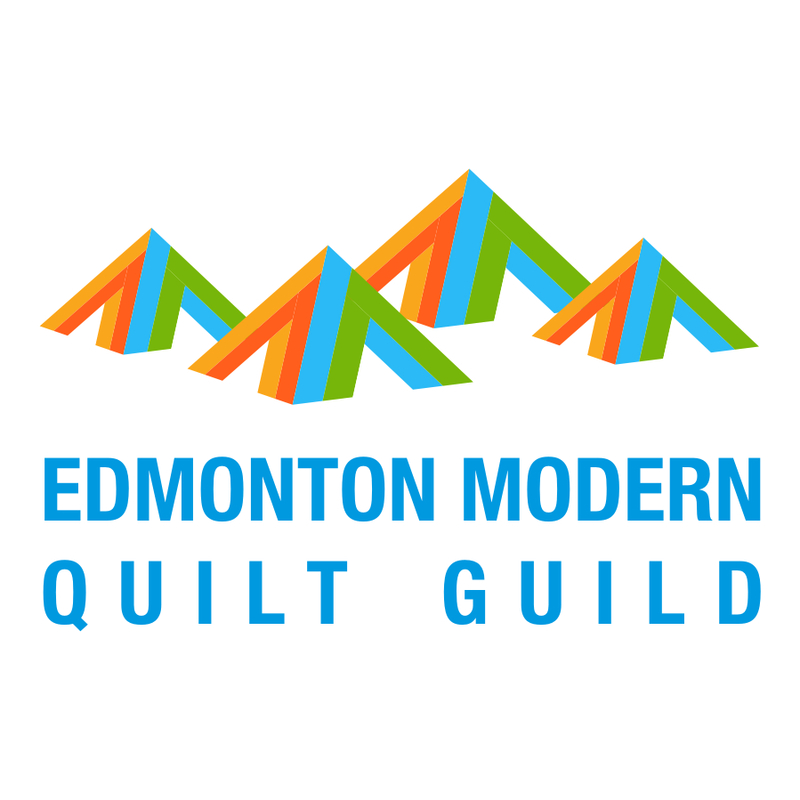 You have some lovely quilts on the go there, and will no doubt have a lot of wonderful finishes in 2013. I'm thinking about joining the FAL - I could definitely do with a push to finish some of my projects! Ah, they get done when they get done, and they will be brilliant when the time comes. Loving that tote too! 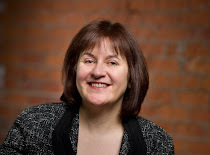 Hi Leanne....it looks like your 2012 projects won't take much to finish in 2013. What a lot of beautiful pieces you made. I'm so looking forward to the 2013FAL. I gave a little preview of one project I plan to finish in 2013 in my post today. Also posted the 2013 FAL Button on that post. I think you can be forgiven!! Thank goodness you are not perfect,just like the rest of us - but please quilt the Mystery, it is beautiful. Boy, am I glad you managed THE most important finish of all! I look loving at my tote ( and use it!) every single day! And of course, you got so many other wonderful things finished too! At least you have some truly beautiful quilts on your FAL list. I think you are being too hard on yourself, and maybe a little ambitious with your list at the beginning of the quarter. You have certainly produced lots of stunning work in the last few months even if you didn't finish all these and made a lot of progress on some of them. Don't worry - we all have 'the list'. Just keep putting one foot in front of the other (or I guess it's one stitch in front of the other) and they'll be at the finish line before you know it. Starting is always SO easy, isn't it? By the way, your Mystery Quilt is lovely. You achieved so much and ran a QAL and was a wonderful mother and worked! Don't be hard on yourself Leanne - I'm giving you a B+. I'm travelling home on Monday but hope to remember to link up shortly after! PS. I love that Mystery Quilt. So beautiful. I love the grey on your lynnebobsquarepants blocks, I almost did that for mine! From one of your other posts, it sounds like you're nearly finished! I'm able to complete one block (start of cutting squares for HST, ironing, trimming, etc) in about an hour an half. Once the HSTs are ready the rest seems to go quickly! Look forward to seeing yours finished!